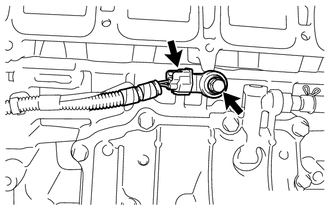 (a) Remove the intake manifold (See page ). (a) Disconnect the sensor connector. (b) Remove the bolt and sensor. 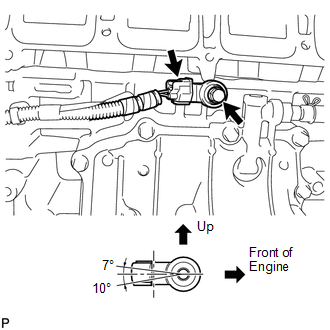 If the result is not as specified, replace the knock sensor. 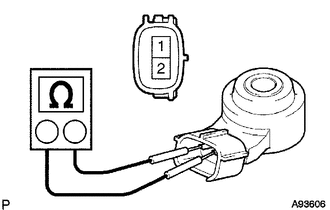 (a) Install the sensor with the bolt so that the sensor is angled as shown in the illustration. The acceptable installation angle of the sensor is between 7° upward and 10° downward from the horizontal position. 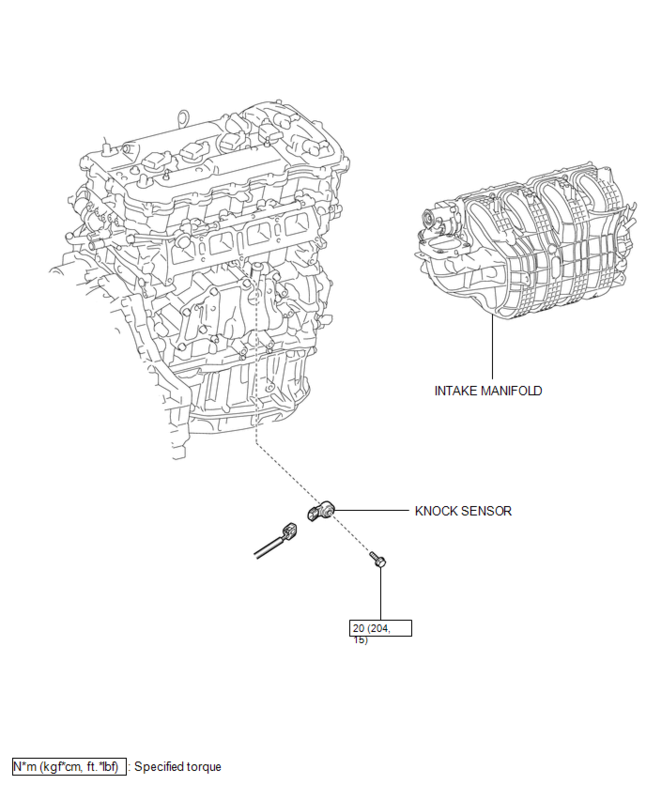 Perform "Inspection After Repair" after replacing the knock control sensor (See page ). (b) Connect the sensor connector.